I am perplexed by excessiveness, the interrupted; the intermittent; the fractured; the broken; this work is an exploration; there is no singular meaning. 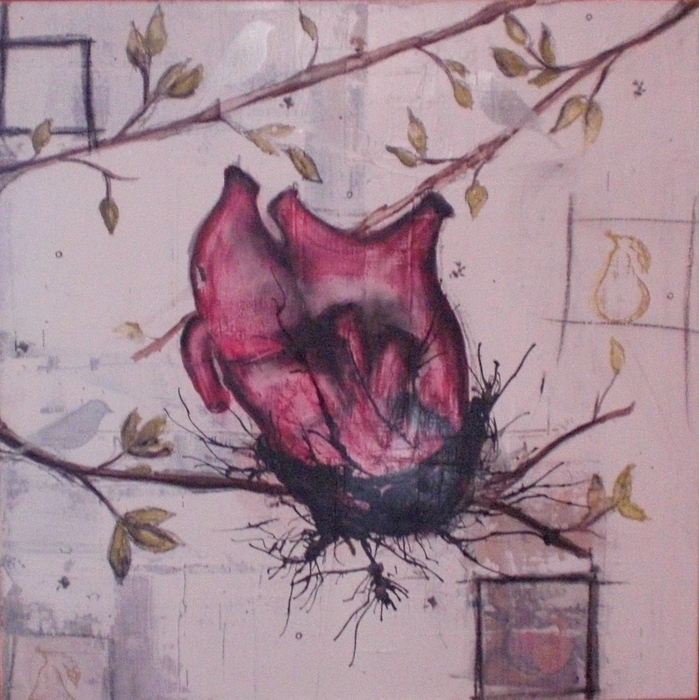 It is in flux, as are my emotions, and then juxtaposed inside a box (the canvas), a container, and my heart. 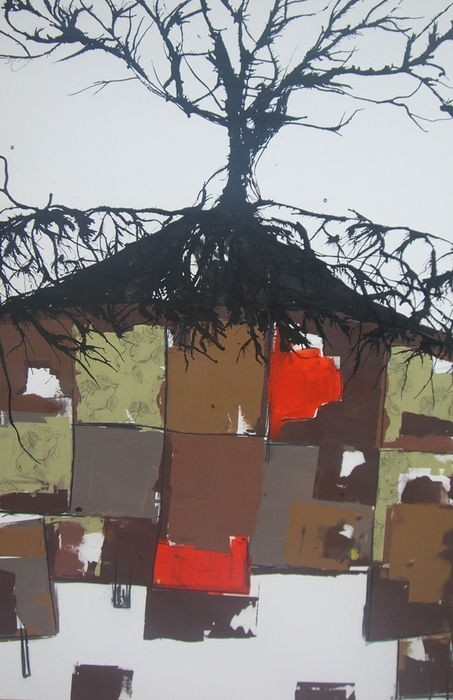 My work continues to be a dispute between the broken (myself) and the healed-a search for continual peace and growth amid the layers of dirt in life. 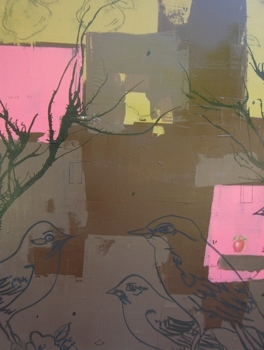 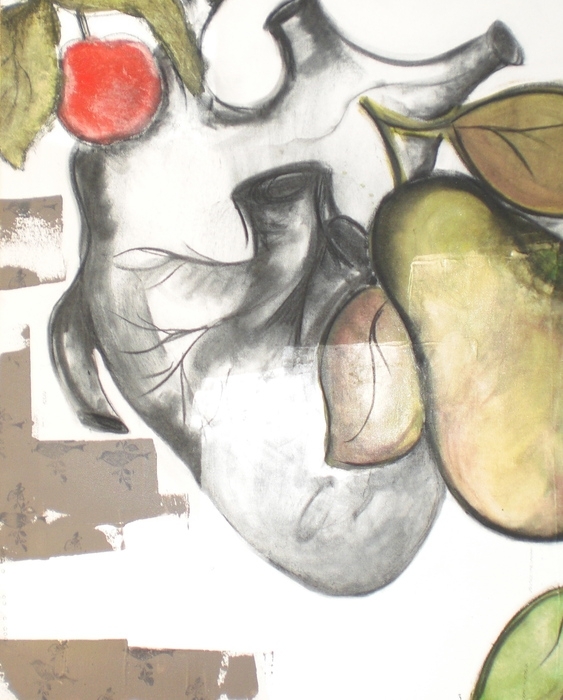 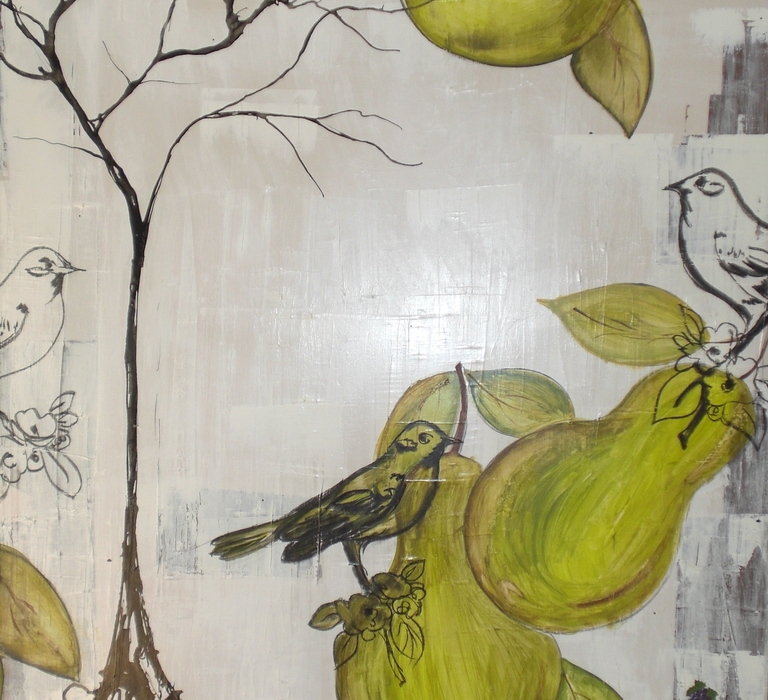 Roots, fruit, boxes, birds, deer, all layers which construct the architecture of who I am and who I want to be.